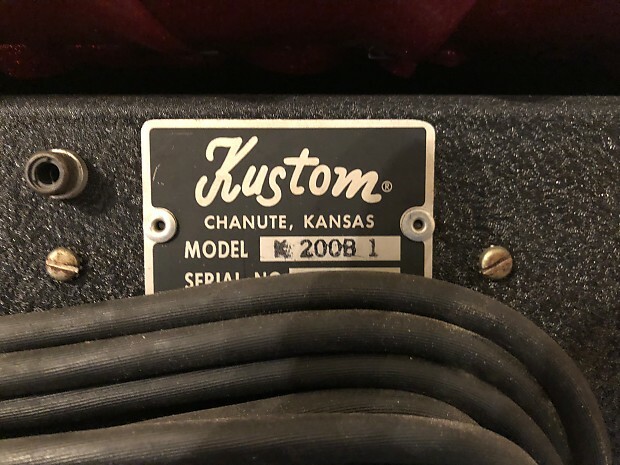 Kustom K200B-1 - Red Sparkle - Bass Amp and Cabinets. Totally and professionally restored to as new condition. 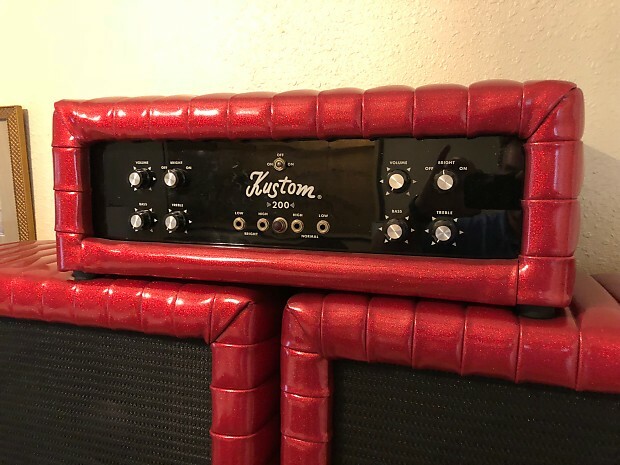 The head and two cabinets are covered with genuine red sparkle Naugahyde® and meticulously "tuck & rolled" to exact specs just as the original amps were done back in the 60's. No nicks, tears, scrapes, or scratches anywhere. Truly a museum piece and would be a really cool addition to your music room or studio. The speakers have been replaced with 6 brand new Eminence Legend CA15 -15" bass speakers and actually make this amp sound great and useable. 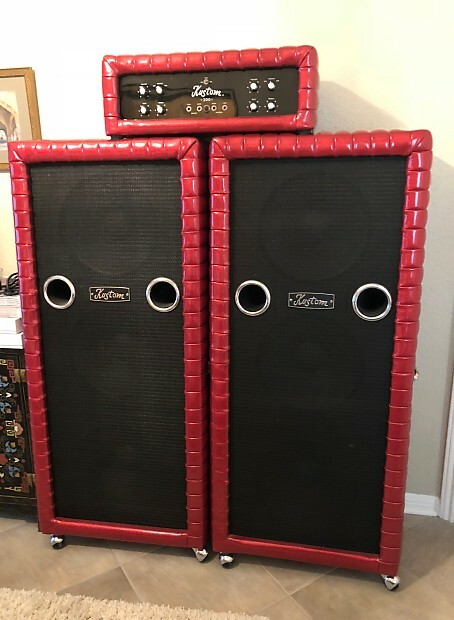 As you might know, the old CTS speakers were always the "weak link" in the old Kustom bass cabs. I would love to keep it, but I just need the space. I WILL NOT SHIP!!! LOCAL PICKUP ONLY.